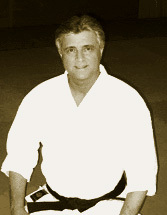 Takeshin Aiki instruction begins with simple wrist releases and foot movements that hold subtleties often lost upon the casual observer. In essence these basic movements are the key building blocks for more advanced techniques and hide advanced movements within them. The stages of learning from white belt hachikyu (8th grade) to green belt yonkyu (fourth grade) pass from releases to simple takedowns against wrist grips to takedowns against strikes, to basic throws, then lifting throws and finally "flying" throws. 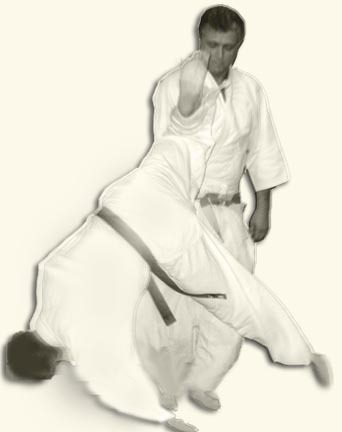 The black belt levels introduce systematic variations and more difficult randori as well as defenses to multiple assailants and weapon defense. 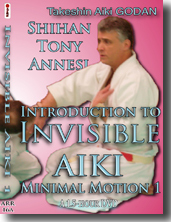 Takeshin aiki is very challenging but amazingly interesting to learn. The student is constantly challenged to minimize his/her strength and maximize his/her relaxation. 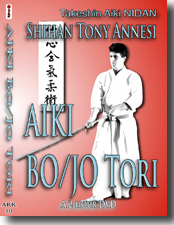 To receive a 20% discount on selected Aiki videos, take a DVD Self-study Course. 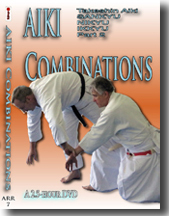 All aiki-ju-jutsu systems descend partially or totally from Daito-ryu: General AIKI Seminar DVDS. 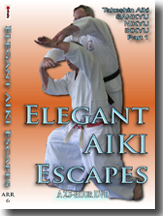 Aiki Books, E-Books and Takeshin Aiki Manuals on PDF. 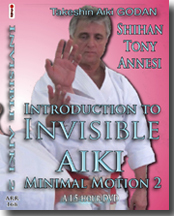 AIKI Seminars with Hanshi Annesi. FREE SHIPPING in the USA & Territories. All Foreign orders shipped at actual cost & charged separately. Example: currently for most locals in Europe $14.25 for up to 2 DVDs. 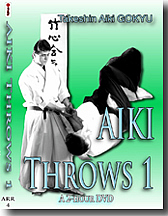 TAKESHIN AIKI CURRICULUM Lower Kyu SPECIAL! All five "lower kyu" levels of Takeshin Aiki -ju-jutsu, Hachikyu through Yonkyu. 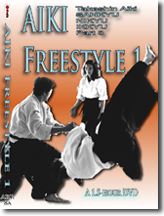 TAKESHIN AIKI CURRICULUM Upper Kyu SPECIAL! Sankyu through Ikkyu plus SHODAN. 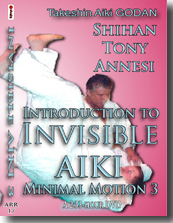 AIKI CURRICULUM SPECIAL to Shodan! 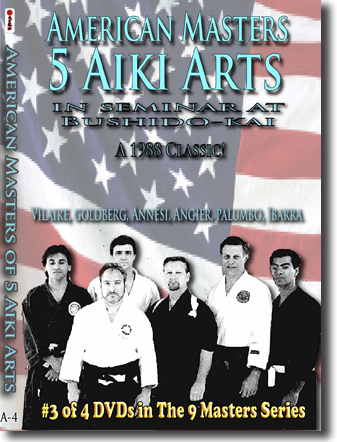 All eight kyu levels of Takeshin Aiki -ju-jutsu, Hachikyu through SHODAN. All 13 ARR videos (ARR-9 through ARR-20) as shown above.